Tube Speaker TWO | Photography etc. Tube Speaker TWO is my first attempt to work out an idea I kept 20 years in my brain but never transformed into real hardware. Now the step into a real product has been done end is reported here. Some have it done before and seem to be satisfied by the sound. Tubes have less modes of standing waves and circular shapes withstand pressure changes easier than box like shapes: This should result in better sound reproduction. 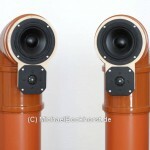 Using smaller loudspeakers are compatible to e.g. DN160 series wastewater pipes which are available off the shelf in usual construction markets. 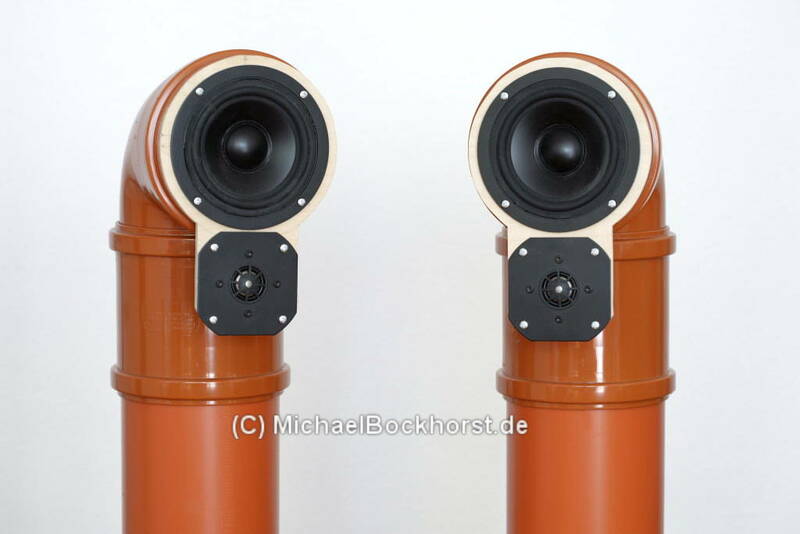 Optimizing cabinet height, volume and other acoustic properties lead to the Tube Speaker TWO – a two way floor stand speaker of ~950mm height. Sound is very detailed, neutral and analytical but not cold with the system chain consisting of a Raspberry Pi with RuneAudio, a Cambridge DACMagic 100 and a TrendsAudio TA10.1 amplifier. All components are equipped with modified power supplies delivering very stable 12 Volts (better than 12Ah lead acid battery!). Deep bass is enhanced by a subwoofer (24dB, 50 Hz).